The 1st Withington Scout Group owns its own hut and land. The hut is in need of renovation and, once complete, we’d like to make it into a ‘community hub’ so it can be used by other groups and individuals from Withington and Old Moat. 2013: This year the Scout groups and all our users are benefiting from the renovated hut. Practically everything we wanted to do internally has now been completed. Thanks to all the organisations that have helped with funds, support and work-in-kind along the way. Now we just need to tackle the back garden! It’s a space with lots of potential but has become a mud-covered eyesore. The Scout committee are currently applying for funds to get it renovated… watch this space. March 2012: Our three back rooms off the main hall have been neglected for so long. But what’s this? Now we have been able to have them re-wired, boarded, plastered and painted. They look fantastic. Carpet tiles have gone in two and vinyl in another. Next on the list – and to complete the internal renovation – is the installation of new internal doors to replace the ones that have served us well since the 1930s! Thanks to The Garfield Weston Foundation and again to Manchester City Council for funding this work. February 2012: At last the partially bricked up windows onto the main hall have been opened up thanks to a Manchester City Council Cash Grant. Four full size double glazed windows have been installed, protected by electrically-operated roller shutters. It’s all looking very smart now! November 2011: What an offer! Days before our Centenary Open Day dozens of students volunteers descended on our scout hut armed with paint brushes and rollers. 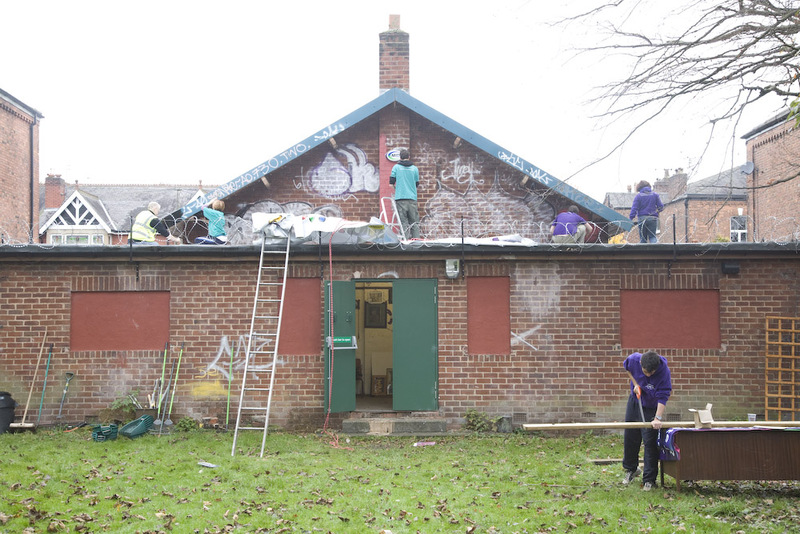 It was all part of Operation Impact, a community volunteering programme run by the University of Manchester. The students painted the main hall and the rear of the hut (previously blighted with graffiti) as well as clearing the garden of rubbish and making wooden planters. Many of the eager workers lived in Withington and were keen to contribute to their community. Thanks to you all! September 2011: Over the summer we have had the hall floor sanded and re-sealed and it is looking tremendous. 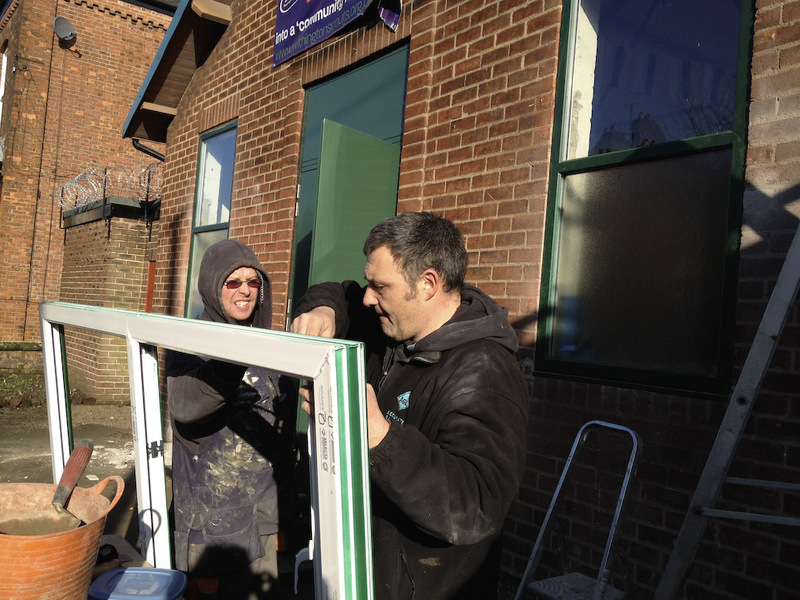 This month a group of volunteers from Manchester media company, MEC, came down for a day to clear up the garden. They built fences, filled a skip with rubbish, unearthed the fire pit and generally did a great job. See the slideshow here. Thanks to MEC for taking a day out to clear up our garden! 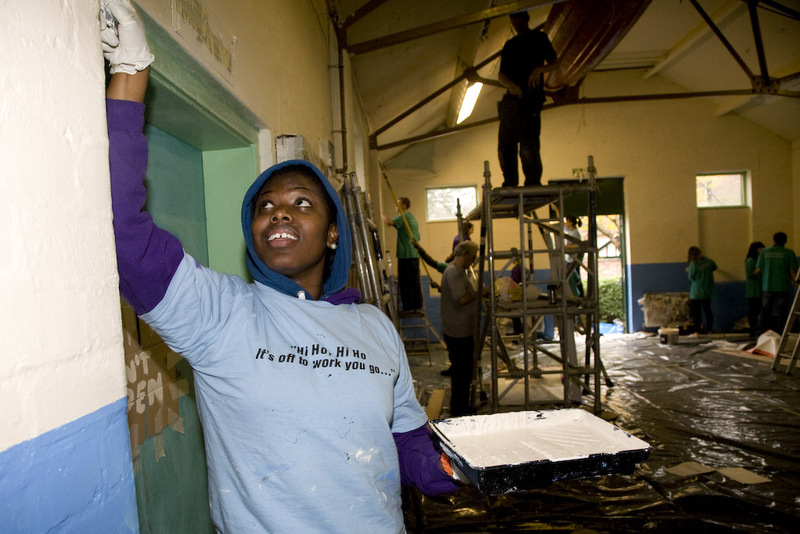 June 2011: Wates Living Space get stuck in this month and renovate our toilets as part of their Community Day. Dozens of workers descended on Heaton Road and make a massive difference to the Hut and to our efforts to make it into a community hub. See this news page for pictures! A couple of weeks later, Tim Wates pops along to deliver a £5000 from the Wates Giving Fund to put towards the ongoing works. THANK YOU WATES! May 2011: The hut renovation gathers pace as Wates Living Space (building contractors working on the Old Moat estate) agree to not only renovate the existing toilets but add an accessible one as part of their Community Day next month.This is a real milestone and everyone at the Scout Group is delighted with this generous donation of expertise, time and resources. But there’s still lots to do and parents and group members get stuck in for yet another clean-up day. This time the storeroom is cleared out with decades of accumulated rubbish sent to the tip and all the tents checked ahead of the scout camp next month. Another clean-up day: "So which poles go with this tent then?" February 2011: More great news about fund raising. We’ve got a £10,000 grant from the Clothworkers’ Foundation which will pay for new central heating; £1000 from the Manchester Airport Community Trust Fund will buy new benches and folding tables; and Manchester City Council will be paying for all the stuff we need to install an accessible toilet. All great news but still more than £50k to raise before the hall is back in good shape. January 2011: OK, it hasn’t been the best time of year to be repairing a roof but our contractors have now completed the flat roof and guttering work. Next they will install unattractive but necessary razor wire to keep it in good shape. The City Council CASH GRANT has paid for this work. Thanks. 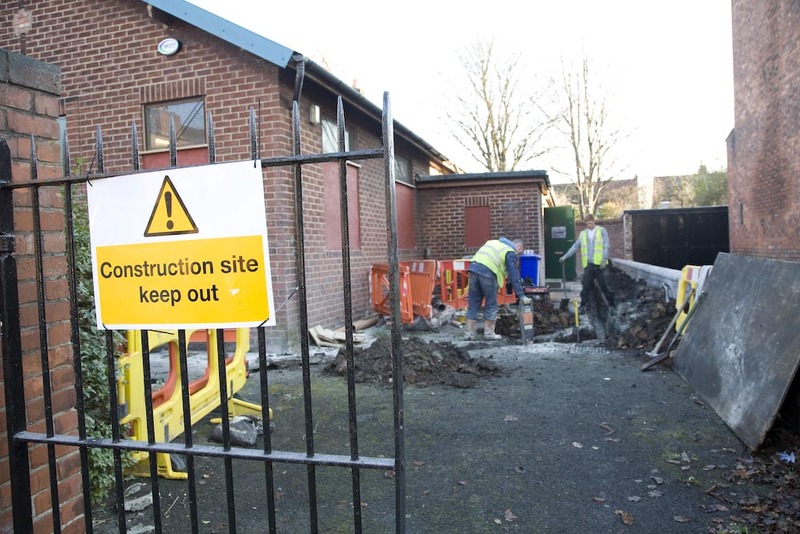 November 2010: Work starts on the external drains, part of the CASH GRANT award from Manchester City Council. Applications go in for more grants: this time (hopefully) to pay for heating, toilets and furniture. 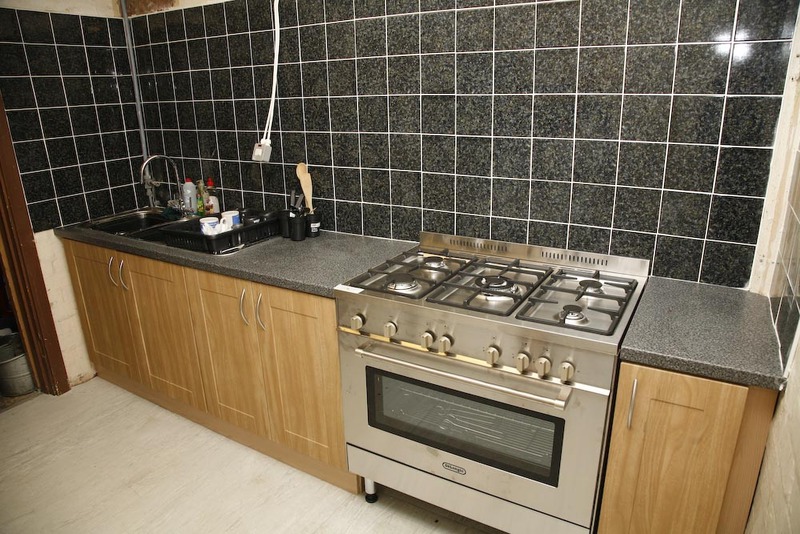 October 2010: New kitchen appliances (a gas cooker, freezer and water heater) are added to our new kitchen. New external security doors are installed. The appliances and doors are paid for by a Grass Roots Grant from the Community Foundation. Thanks very much to them. 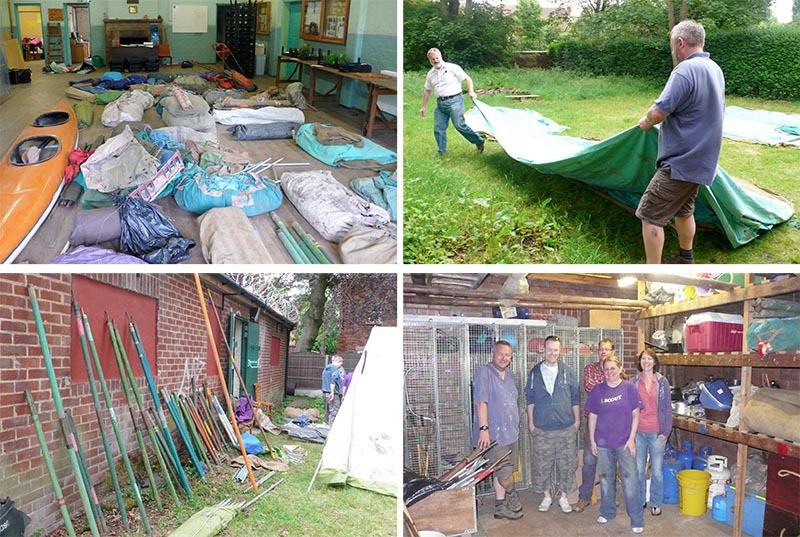 October 2010: We have another clean-up day, this time to clear out the inside of the hut. September 2010: The new kitchen is now complete. It’s all part of Southway Housing community benefit programme and we thank them and their contractors (especially Bramhall Construction) for all their efforts. It’s much appreciated. 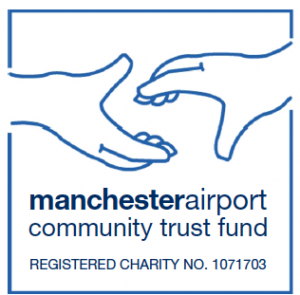 We hear that we have successful grant applications from both the CASH GRANTS (Manchester City Council ward co-ordination) and GRASS ROOTS (The Community Foundation). Hooray!! July 2010: Garden clean-up time! 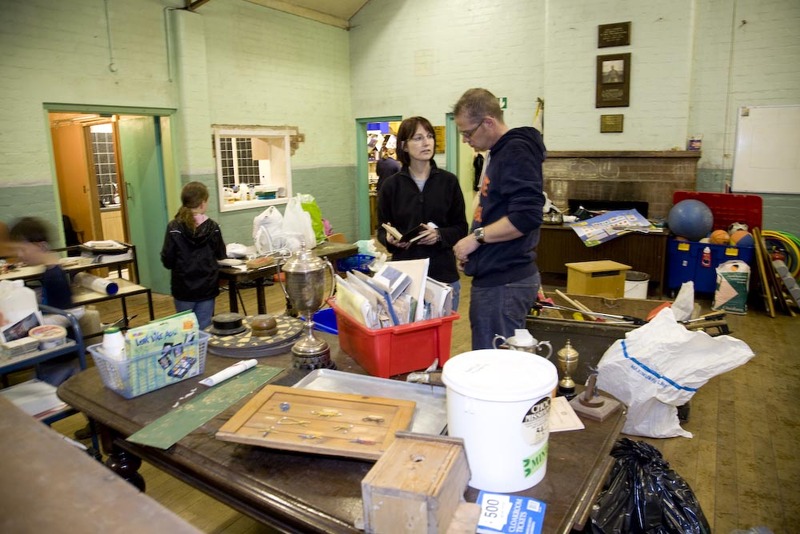 May 2010: A long overdue clean-up sees parents and volunteers getting stuck in to smarten up our Scout Hut. May 2010: These pictures show just how much we need to do to get our hut into a better shape so we can make it into a ‘community hub’.